Andreas received his PhD in Computational Astrophysics from University of Zurich in 2014. His PhD research was focused on studying the star formation process in the milky way through large-scale computer simulations. The PhD was followed by a postdoc period at University of Zurich, during which Andreas explored and implemented new ways to optimize parallel simulation code for astrophysics and cosmology. 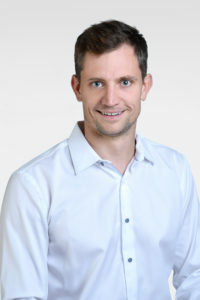 After co-founding a startup for which he developed a recommender system as a cloud-hosted microservice, Andreas joined the SDSC in September 2017. Andreas holds the diploma of a high school teacher in Physics. But even more than teaching physics he enjoys teaching other people how to ski.